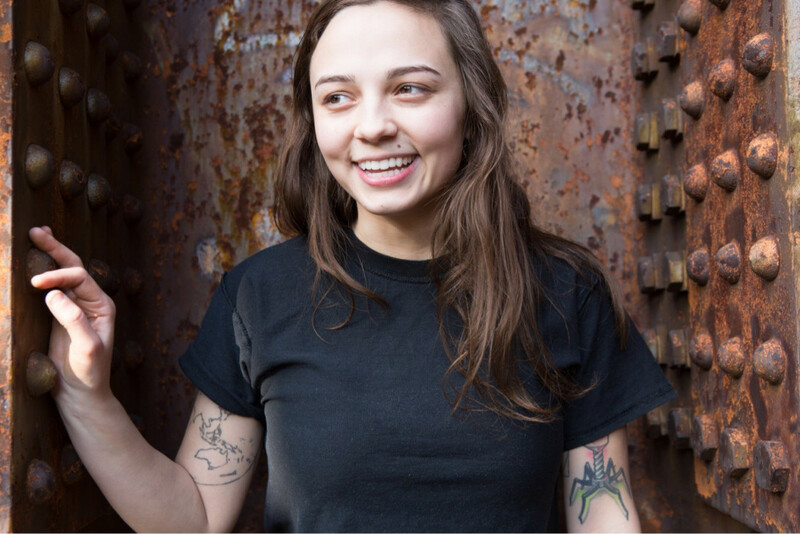 Red Scare has signed Chicago's Sincere Engineer, the stage name of Chicago singer / songwriter / guitarist Deanna Belos. The label will release her 11 song debut full length Rhombithian, produced by Matt Jordan (You Blew It!, Dowsing), on October 20th. After making an appearance at this year's Fest in Gainesville, Florida, Sincere Engineer will celebrate the LP with a November 10th release party with The Brokedowns. "I've been a walking billboard for Red Scare bands since I was in Junior High and I've been a regular drunken annoyance in Toby's life for several years now. Signing to Red Scare is a dream come true and I'm so excited and honored to contribute to something that has been an important part of my life for so long. This record took nine months to make. It's my baby and I want to let everyone hold it and pinch its lil' cheeks." You can pre-order the CD/LP at Interpunk. The Brokedowns: "Pardon the Light"